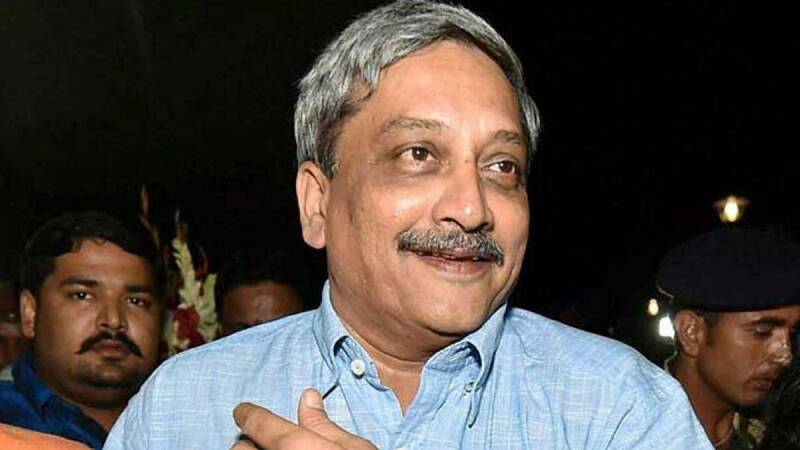 Panaji : The strategy to execute surgical strikes were carried out with such secrecy that mobile phones were switched off and kept at a distance during the crucial meetings with senior military and Defence Ministry officials, former Defence Minister Manohar Parrikar said on Saturday. Participating at a literary event here, Parrikar, now the Goa Chief Minister, also said that he was proud of the fact, that not many details about the surgical strikes had leaked even now, including facts like how senior officers were dispatched for foreign countries to conduct on-the-spot purchase of equipment required for the surgical strikes. "In fact, all the surgical strikes were planned with mobiles 20 metres away. Not only they were put off, but they were kept 20 metres away, so that nothing leaks. And I am very proud to say only one thing. I must have had between Uri and the actual strike, something like 18-19 meetings which included number of army top brass and also the Defence Ministry (officials) right above Joint Secretary level officers, nothing leaked out," he said. "Even probably it has not come out even now. Including flying of some of the officers to some foreign capitals to make arrangements for. We had to send officers with authority to carry out the on-spot purchase as they call it," he said. About his frame of mind during planning and execution phase of the strikes, Parrikar said, that it was a period of continuous stress. "In fact one of the continuous stress which I went through was keeping secrets. When you don't tell anyone, you tend to build up stress. Normally, stress is relieved by discussing issues with friends and circle, but in Defence, many times we were not in a position to discuss any of the issues with anyone, whether it is Myanmar surgical strikes or whether it is PoK (Pakistan-administered Kashmir) surgical strikes. "I virtually didn't sleep, because the pressure was on me, if something goes wrong. It is very easy to clap afterwards, very difficult for a person who takes decision and cannot speak to anyone is out," he said.